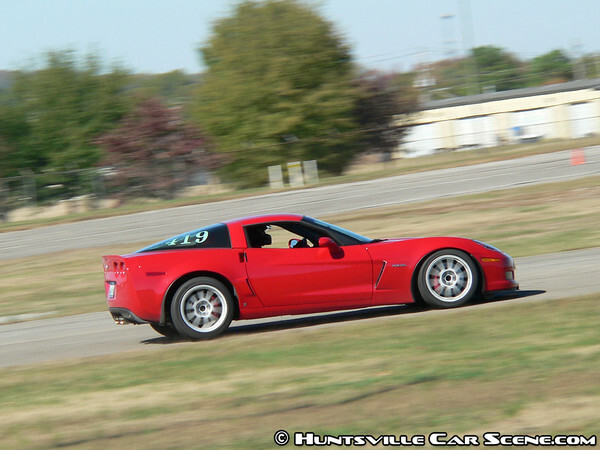 This is part of the National Council of Corvette Clubs southeast autocross series. At this race, there are a series of 14 events, 2 runs per event. Registration is $90 per person for all events. Registration opens at 8:30a and closes at the after the 1st run of the 1st event. Exhaust must be closed. Lunch will be provided in lieu of awards. 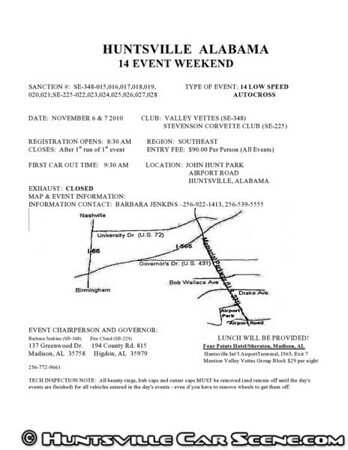 Governors of this event are the Valley Vettes and the Stevenson Corvette Club. These are some of the most race-prepared Corvettes you will ever get to see up close and personal, so come out and feel the power hitting the pavement. Just be sure to bring some binoculars to catch the action from a safe distance. Austin from Red Baron Photography ran into this event Saturday after he finished the ATO show earlier than expected. And I'm glad he did as I had completely missed it. Although he was only able to shoot for a short time due to the timing system being taken out by a spin, he got some great shots. After finding out about the event on Saturday, I made plans to attend Sunday since I was already going to be covering a car show in the afternoon. And it was good to see Barbara of the Valley Vettes at the front gate as I pulled in and signed the waiver. Dennis was at the start, repeating "ready, set, go!" at each car as they took off for their timed lap around the course. The roar of Corvettes had people pressed up against the fence at the neighboring ice skating rink and at the entrance gate. The entire area was being used for either racing or slowing down, so it was important that spectators kept a safe distance. And racing they were. The fastest times around the course broke into the 34s for the almost 1/2 mile course around the old airport. That's an average of over 50mph, which is much, much higher than the normal local autocrosses at the same venue. And in the many years of watching autocrosses at this venue, I've rarely seen any incidents. But on Sunday, I saw one of the scariest things I've ever seen--the underside of a Corvette with the exhaust pointed towards the sky. That was what I saw of a car going off in the first slalom after the 1st left hander. It was a beautiful red z06 with very nice wheels. The last picture taken of this z06, just seconds before the off. The car didn't get upset by the dip in that first turn, and didn't have any issues coming up to the slalom. But it was at the right hander past the first gate that things went wrong. Judging from the skid marks, it looks like the car was oversteering from the left rear, then launched into the ditch, catching the bottom of the ditch with the front nose, which flipped the top of the car onto the wall of the ditch, the force of the impact launching it spinning in the air, and finally landing on its wheels facing the track again. I was so glad to see the driver out of the car and walking around helping to pull his car out of the ditch. The car looked like a mess with the a-pillar and top of the car pushed over from the impact on the roof, but Zeke from Corvettes Unlimited mentioned that he's seen worse get put back together. The driver's side top and a-pillar must have absorbed considerable forces as the car landed on the roof and flipped back into the air, but you couldn't tell from the damage as they were barely pushed down and crushed. Zeke mentioned the entire windshield cowl, a-pillars, and the top are just bolt-on sections of the car, so replacing them is a snap. Then it's just checking the frame, which looked solid, and replacing the composite body panels. It sounds like this car will be back on the road in no time. The owner/driver from Tennessee was obviously upset, and had a bit of a sore shoulder. But judging from the marks on his helmet and the condition of the cockpit, his safety gear, performance seats, and racing harness did their job at keeping him safe. I was relieved to see him help put his car on his trailer and get ready for the drive home. I don't ever want to see someone get hurt racing here. Cars can be replaced--people can't. After the cleanup it was basically lunch time, so everyone grabbed some food and quietly reflected on the dangers of racing before the start of the next sessions. I had both Panasonic cameras with their large 400mm+ and 600mm+ zooms so I could stay at safe distances and still get great shots. As the sun had shifted during the day, I now had to shoot from the other side of the course towards the dumpster and braking zone. Besides the dumpster, there wasn't much else to hide behind if a car got out of control. I decided to play it safe and sit almost at the fence some 20 feet away from the dumpster. This proved to be a great vantage point for the final cone and you could really see the forces on the tires and chassis as drivers came in hard under braking and then turned sharply. But then I saw the second most scary thing I've ever seen--a car spinning out of control towards people that were running away. One of the cars coming into the braking zone had gotten into a spin at speed and was spinning towards people in the grid. To avoid hitting the people, the driver was able to steer away from the people, and wham! He hit one of the cars waiting in the grid. The damage to both cars was minimal and everyone was okay. But again, the driver of the car that was spinning was quite upset that it happened. Cars can always be repaired. I'm really glad a person didn't get hit. That would have been too violent and shocking to watch. It was about time for me to go to the next event, so I took off after the incident. But it was definitely an action-packed day while I was there. I hope everyone was safe the rest of the day and made it home safely. Enjoy our coverage of the event, and we hope to see everyone next month! Yep, there sure are. And they'll be posted right here in this event listing. You'll see the little camera in the title when they're posted. Last edited by Samir; November 10th at 10:29 PM. how did i miss this????? o well. I almost did too. Austin bumped into it by accident. It's every year in the first weekend of November and December. I need to just put it on the calendar as a yearly event. I have pic of a rolled over Z06 that happened! Samir what do I need to do to be able to post this pic? If you have photobucket or it hosted somewhere, you can just link to it. Otherwise, just email it to me and I'll post it.